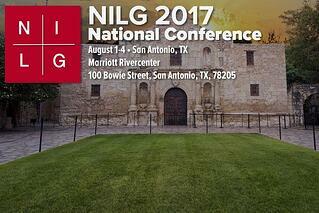 The 2017 ILG National Conference held in San Antonio, Texas is the prime meeting ground for employers involved and interested in OFCCP compliance and EEOC issues. The conference is the gathering place in 2017 for industry experts, HR, compensation, legal, and talent acquisition professionals to discuss the latest issues and information impacting affirmative action and equal opportunity employment. Berkshire Associates’ staff looks forward to seeing you in San Antonio. President Beth Ronnenburg and Director of Regulatory Affairs Lynn Clements will be speaking at several workshops throughout the course of the conference. Berkshire is sharing lots of exciting give-aways and wants to speak with you about our leading HR technology and services. Stop by our booth for the latest information and solutions to your HR challenges!